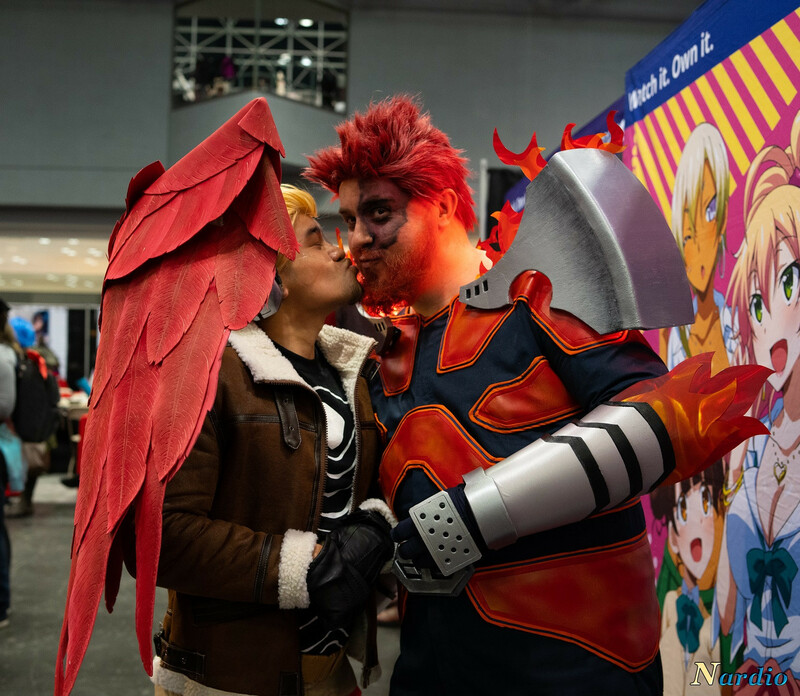 At the amazing, amazing, amazing Anime NYC I ran into a Hot Wings, My Hero Academia cosplay pair that just so happened to be a couple! Hawks X Endeavor in real life that so happens to be a real couple! My black heart melted and I got a few pics. Unfortunately, the lighting wasn’t on my side, but never the less, I bring to you this blessed picture. OK, so I love Hawks, I even did a bad and yet fun as heck cosplay of him, so seeing a much better done Hawks in person was great. Seeing him with his fan art boyfriend was even better. Please check out their Instagram feeds along with Anime NYC at the social media links below.